Catch, a new seafood themed restaurant opened early February on St Clair West kitty corner to its sister restaurant The Rushton, and I had the pleasure of going last week! Lately I have been seafood obsessed! I never used to be one to order fish off a menu, but with this new found love I seem to be ordering it all the time! It's nice to start comparing a different type of food, usually I go for the meats or pasta choices but now I am having so much fun trying out the different fish varieties that menus have to offer. The most popular these days I have found are trout, Arctic char and halibut! So, I went to Catch, a seafood restaurant with a menu featuring oysters, mussels, scallops, salmon, smelts, char, halibut, tuna belly and sea bream, you really can't go wrong. Catch lived up to every expectation I had for a place specializing in seafood. It's not everyday you find beautiful cooked fish, but everything at Catch was pure perfection. Our waiter was incredibly knowledgeable, sharing interesting facts about many of the menu items. Such as the oysters, which come in three sizes. And the smallest of oysters was one of the only original oysters native to North America. Most other varieties have been brought over and then grown, but the small ones they had at Catch were a true native oyster! Since living on the East Coast for four years I have become a mussel connoisseur, and I know that mussels are not always delicious or fresh when you aren't on a coast! I'm also not always a fan of the larger mussels as I find they don't always have a nice texture and taste fishier. But the mussels at Catch were nothing like a bad batch of mussels. They were rich and luxurious, cooked to perfection accompanied by tomato, garlic confit, sumac preserved lemon and parsley. For my main I had the Arctic Char accompanied with roasted artichokes, Kalamata olives, cherry tomato, and a tarragon buerre blanc. This was truly heavenly! I didn't want it to end! With warm olives and blistered cherry tomatoes and a tarragon beurre blanc, how could I go wrong?! The other great thing about Catch is that are serving environmentally responsible fish through their partnerships with Oceanwise. They use fish that are line caught, and responsibly farmed and making sure to stay away from products that are endangered or fished by drag nets. The meal was truly special, and with a small dining room seating I'd say around 35-40, the restaurant was just humming! 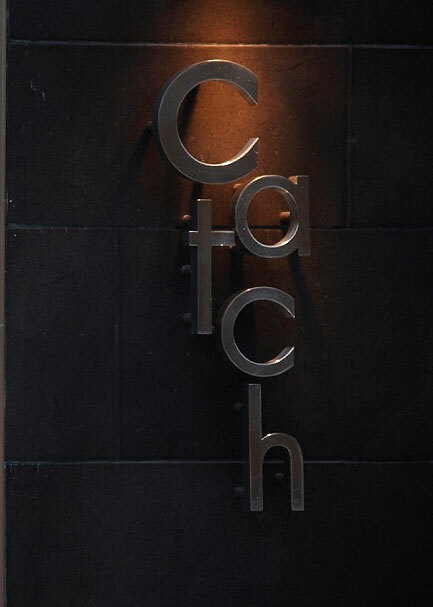 A definite gem on the St Clair West strip, Catch is not to be missed!! ps. Order the side of brussel sprouts! Just wonderful!! Emma! Yum! I love The Rushton - their steak frites are amazing!! Great to hear their seafood restaurant is awesome too! I hope to try it soon!